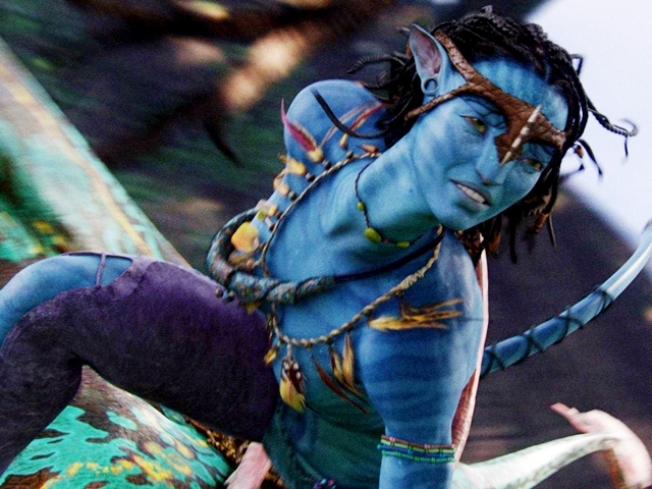 In Hollywood's biggest-ever box-office weekend, "Avatar" held the top spot while earning only slightly less during its second week of release. According to studio estimates Sunday, James Cameron's 3-D epic earned $75 million for 20th Century Fox, only a 3 percent drop from its opening weekend total of $77.4 million. "Sherlock Holmes" followed close behind with $65.4 million, including a record Christmas Day debut of $24.9 million. "Alvin and the Chipmunks: The Squeakquel" took in $50.2 million. Overall, it was the largest weekend gross with an estimated $278 million in total box office. The previous record was set in July 2008, the weekend that "The Dark Knight" was released. Christmas is traditionally a big movie day, but it packed a particular wallop this year since it fell on a Friday, boosting weekend totals.